Are you serious about standing out at your next corporate, school, convention or group event ?? We can help you find the perfect print and provide you with high quality Hawaiian shirts that really stand out. Special pricing is available for all group and uniform orders!! 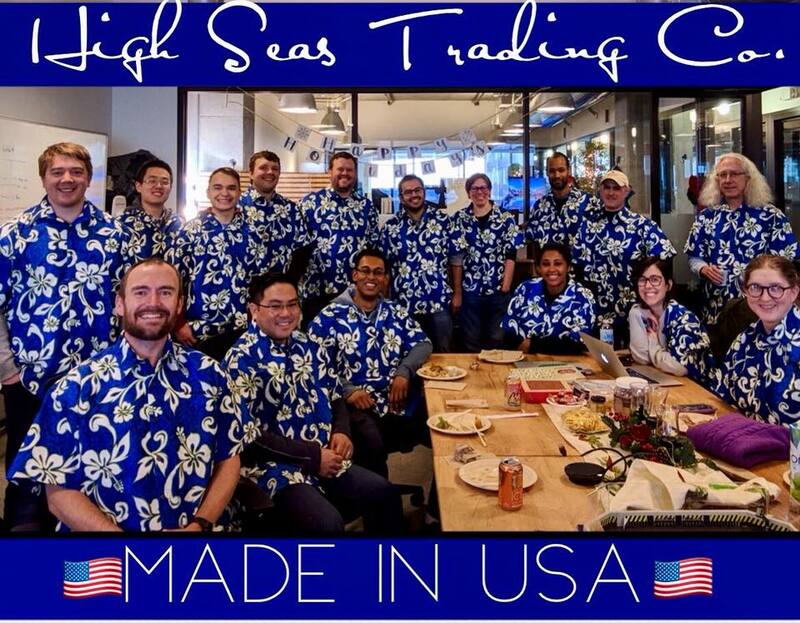 We are one of a very few domestic companies that manufacture and design Hawaiian and Aloha shirts and can provide ladies, men's and children's shirts in over 150 designs in the sizes you need . We can cut to order or you can choose from our open stock of over 10,000 Aloha shirts. 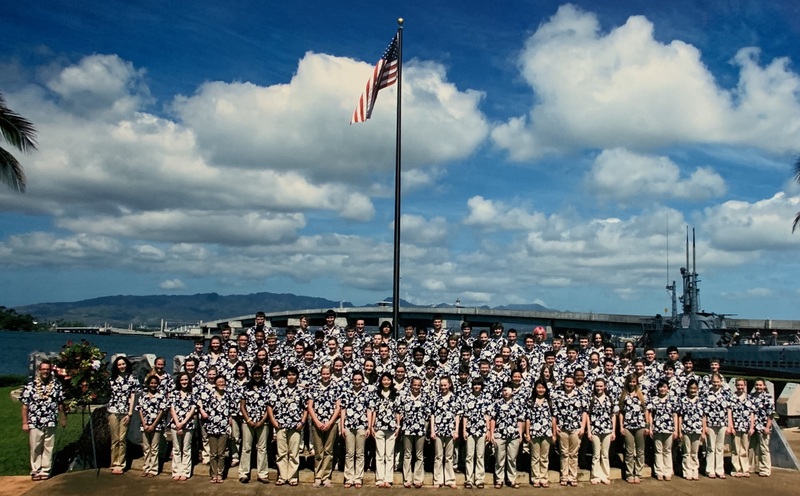 Okemosh High School band was invited to perform at Pearl Harbor in Hawaii. We work with the booster to match their school colors and outfit the whole band in matching shirts. The Hawaiians at Heart band is outifitted in our Sunset Parrots Hawaiian Shirt. 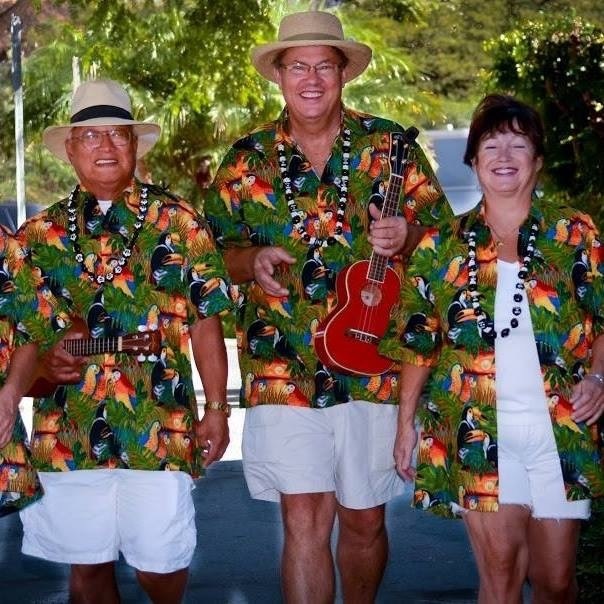 They entertain at Luaus, Corporate Events, Weddings, and Celebrations of life with there unique aloha infused style of music.